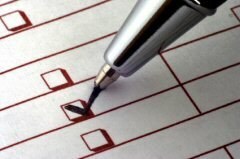 Search Engine Optimization Checklist – How to make sure your website is search engine friendly! One of the most common questions we get from prospective search engine optimization (SEO) clients that are considering our services is, “When optimizing a website what exactly do you look for and what do you fix to make sites search engine friendly?” Since the answer is actually quite lengthy, I have decided to write a quick guide to use to ensure your website is as friendly to the search engines as possible. Use as much HTML as possible! By this I mean that you need to make sure that any text on your site is not within images etc, but is instead in actual text that can be scrolled over. To test this you can try to hover your mouse over the text on any page (try this one!) and see if you can copy and paste the text elsewhere. If you can then the copy you have selected is in HTML! 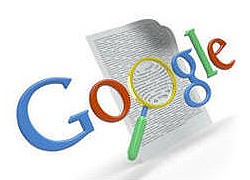 Search engines are able to read text. They are not able to read text within images. As you can imagine, it is therefore very important to ensure your website copy is in a format that can be read by the search engines! Use relevant anchor text in both your html and your navigation! The same way its important to ensure that you use HTML in your website, its also important that you highlight important words in your text and link it through to relevant pages within your website. Called ‘anchor text’, this helps a search engine understand what it can read on inside pages because it can actually read the text that you have ‘linked’ and can expect related information on the page you have linked it to!Furthermore, your navigation doesn’t have to be any different! While many web design companies will want to apply a special style to their designs by using images in your web design concept, this can sometimes come at the expense of search engine friendliness. Creative designers figure out methods to use background images and HTML text to create a nice balance between colors and still being readable for search engines. What we often recommend is to have a nice broad level navigation at the top and a left navigation in HTML which details your products or services. This ensures not only better website usability, but also applies keyphrases that are important to you throughout your website! (because you are using it within a ‘left side’ navigation. )To see an example of effective left column, HTML navigation make sure to view www.techwyse.com. Make sure you do your keyword and keyphrase research! Ever heard of keyword density? It is very important before you begin to write your website content that you figure out what people are typing into the search engines to find out about what you do! There are many good tools online today that can help you assess not only the keyphrases that you have in mind but also some you may not have thought of. Make sure to employ a copy writer that understands the importance of writing for search engines! Some of you may remember in the early part of the 2000’s going to websites and reading content that just did not make sense. As a strategy to getting ranked high on search engines, many people would figure out there keywords and simply write them over and over on their site. Not only did this not help convert traffic, but search engines ended up building their algorithm to discount this type of content. While many people do profess to forget about search engines when writing so that the message comes through properly, employing an experienced copy writer will ensure that you achieve both of your goals; compelling copy writing that includes a high level of keyword research that will help you achieve your search engine ranking goals! Remember – its important that you include your relevant keyphrases but also that you do not over compensate by writing your phrases too much! An effective search engine optimization setup will usually ensure not only a search engine friendly website but often ends up improving website usability as well. By following the list of ‘onpage’ items you can begin to improve your own search engine rankings goals. 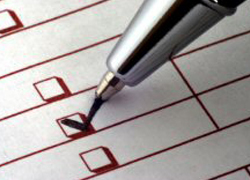 The next list are the ones that help understand how to structure your site behind the scenes. The use of frames has dramatically reduced over the last 5 years. Why? For the most part this is because companies interested in getting ranked high on Google, Yahoo! and/or Bing understand what everyone has been saying. Don’t use frames if you expect to get indexed properly! What are frames? Have you ever seen sites on the web that have a scroll bar within the website that usually allows you to scroll the text in the site while the top banner or side column stay the same? That usually means the site you are visiting is in frames! The development of DIV layers and AJAX is making things a lot easier these days and I would recommend using these technological advances rather then frames if you are preparing to build your site. Are you one of the unfortunate that have frames in your site and cant afford a redesign? Well until you come up with the resources the one workaround you can use is to use the ‘noframes’ tag and place another version of the web page inside your main framed page! By doing this you will make the content of the page spiderable by search engines. It is just a workaround though and keeping things this way long term will keep you at a disadvantage. Have a dynamically programmed site? Make sure you use search engine friendly URL’s! Of course, many website owners today love to have a content management system that allows us non-techies to be able to update pages quickly and easily. It is important when you do your website planning, however, that you ensure you code your URL’s properly. Search engines do not like meaningless, ambiguous text with random characters and question marks. Note that the fixed example is simple, yet descriptive with little unneeded characters. By having descriptive domain extensions you are giving search engines like Google, Yahoo! and Bing the opportunity to understand what each page is about. Be as descriptive as you can by using meta and alt tags to describe each page within your site! These are two very simple things that you can do help search engines understand what they can see on each page within your site. What are meta tags? Meta tags are comprised of 3 main descriptors which help describe what can be found on each page within a web site. They consist mainly of a ‘Page Title’, ‘Page Description’ and ‘Keywords’. If you look at the very top of your browser (above the URL) you will likely see the only visible portion of your meta tags – the page title! If you want to view a pages meta tags you can usually do so by clicking on the ‘view’ tab in your browser and then go to ‘source’. I will speak more about the debate about meta tags and how to build them properly in an upcoming post! What are ALT tags and how can they help? Have you ever moused over an image or a link and noticed a very small box pop up with a couple words of text which describe what you are mousing over? This is what we refer to as an ALT tag! To view an example of what I am talking about simply go to www.techwyse.com and simply mouse over many of the links and images on the homepage! Know how and when to use Flash! Despite the apparent launch of Flash 8 and its search engine friendly components, it is still seen as a highly risky technology to use if you rank search engines as a priority to your own marketing efforts. To put this into perspective, try searching anything competitive on Google. After checking the results listed on the first page it is highly unlikely that you will find a flash based site. If you do, chances are that the reason they are ranking high is not because of the technology but instead because of a good linking strategy. 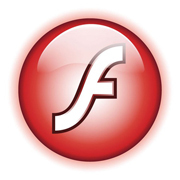 Flash can be very useful to integrate within an HTML website! It can help you convert visitors, and help emphasize a core message. This is how we use flash and how we would recommend that you do! Tell search engines about your site by adding a sitemap to your web site! By having a page dedicated to listing every page that can be found within your site, you are giving search engines like Google, Yahoo! and Bing the ability to easily spider your site. It’s as simple as that. Create your sitemap and make sure to place a link to it on every page of your site. Another service offered by Google to help with this is ‘Google Sitemaps.’ To learn about how you can give Google instant knowledge of your site make sure to visit Google and learn more! Search engine optimization (seo) is not easy. If it were everyone would be ranked number 1! The most important thing to remember is that there is no ‘secret sauce’ in getting your site ranked high. Chances are if you hear of some chance of a lifetime opportunity you are likely putting yourself in a position to get hosed. For best results, study what is out there. There is lots of information! Make sure you stick to ‘white hat’ techniques and do things to help search engines understand the information you are presenting. Eventually if you build it right, the traffic will come! Here are some more terrific resources for those that are interested in continuing their education on SEO! Read the TechWyse Knowledge Base! 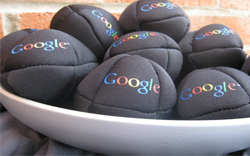 Google’s very own Search Engine Optimization tips! If you have further comments to help make this article even more helpful or wish to clarify any of the information found in this article please make sure to add your COMMENTS below! Thanks! For keyword research I would also suggest trying out Keyword Tool Dominator. I used the free version and it seems pretty good. Didn’t use it’s paid option yet because I didn’t need it for now. A mixture of this and Google Keyword Tool gets the job done for me. Flash seems risky to me even today. I just never liked these sort of sites and they never seemed to rank for anything. I think that if someone really wants to make a flash site they better know what they are doing or they won’t rank on Google at all! A point I am thinking is perhaps to stick with what works when starting an SEO journey. I am not saying that I apply this. However, you mentioned that using flash on a website could be something risky. It makes me think that sticking with what other people are already doing could lead a person not to use flash. Many of the websites done by marketers are now built on WordPress. Being very descriptive when creating meta tags is one thing I don’t think that I have done enough in the past. But, I believe that it could be beneficial to have an idea of the type of meta tags that people genuinely build for their websites (without trying to rank for aterm). Thanks for the checklist! I would just like to add that we should also use headings (H1 to H6) within the content. Headings are really important as they help to emphasize the keywords and help in ranking for that keyword. However we should overuse headings, just use them one cor twice within your page and you should not face any problem.